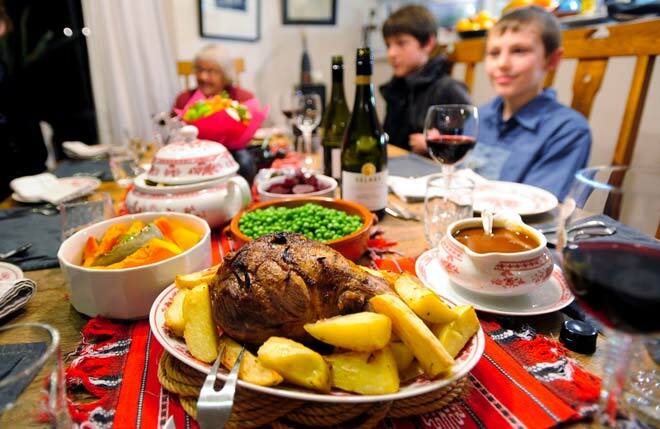 The Sunday roast eaten in the middle of the day was a time-honoured tradition in most New Zealand families until the last quarter of the 20th century. Typically, a leg of lamb or mutton was roasted in the oven and served with roast vegetables such as potatoes and boiled greens such as peas. This modern roast is rather different from the old-style Sunday roasts because of the presence of wine on the table – our forebears would have been more likely to wash down their meal with beer or water.